iSandBOX Launches Today in the UK! We are delighted to announce the official launch of ‘iSandBOX’ today! After rigorous software development and programming over the last year, iSandBOX is now fully licensed and available to schools, nurseries and educational centres throughout the UK. We are really excited about the launch of this ‘interactive sandbox’ for children. 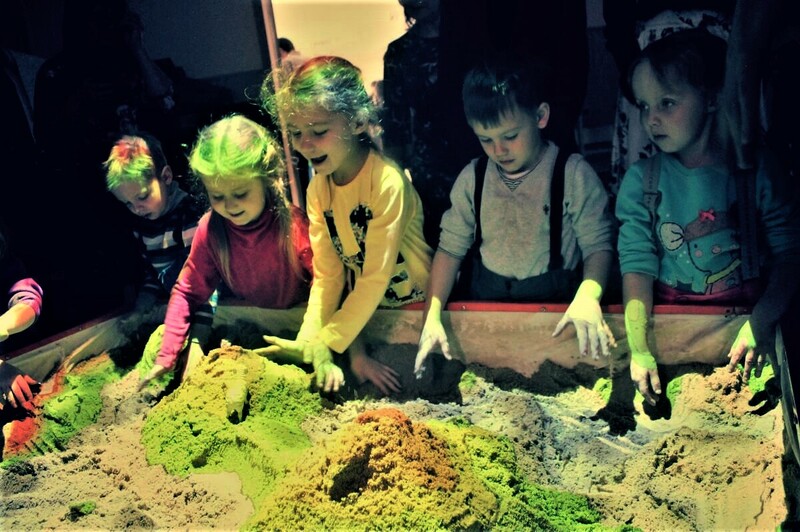 The revolutionary unit combines a traditional sandbox with the latest technology to create a new experience for children, which will help them learn in a fun environment that stimulates creativity and imagination. iSandBOX uses augmented reality to bring sand – in a static sandbox – to life, using sensors to project different colours and moving images onto the sand. It will create a magical experience for 3-7 year olds across the country to treasure forever. It comes with 12 games that let children explore different surroundings, learn about the ages, volcanos and numbers, draw pictures and make sculptures. iSandBOX is now available to hire in the UK and is currently on display at Elevator Business Centre, Bridge of Don, Aberdeen; demonstrations are available by appointment. Later in the year, iSandBOX aims to go on tour with demonstrations being held throughout the UK. For more information please email Sally Mackinnon at smk@isandbox.co.uk.